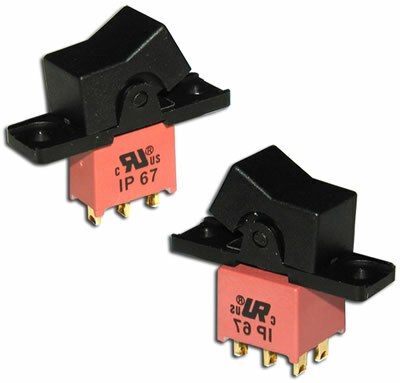 The ASR Series is an IP67 process sealed miniature rocker switch offering up to 3PDT with 6 functions. 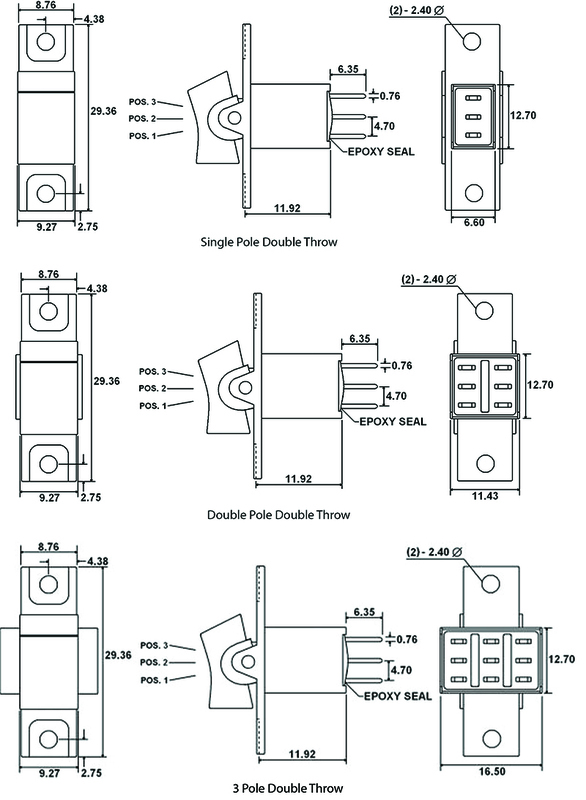 A wide variety of actuator styles are offered and terminal options include solder lug, PC pin, quick connect, horizontal mount right angle PC pin, vertical mount right angle PC pin, PC pin support bracket and snap-in support bracket. Gold contacts are also available with this rocker switch. If you'd like an option with slightly better conductivity, check out the nickel-plated 4 pole switch.